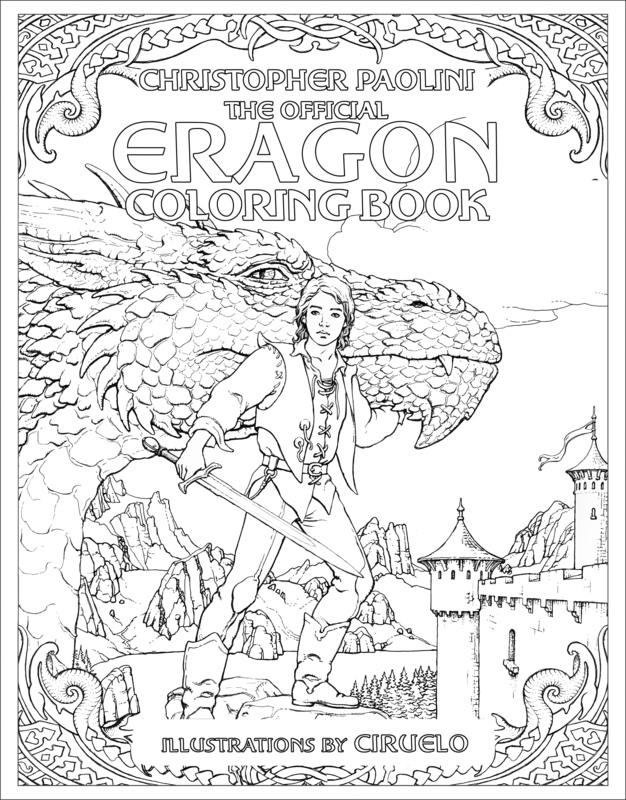 The Official Eragon Coloring Book is almost here! The new book features over forty illustrations by award-winning artist Ciruelo Cabral in collaboration with Christopher Paolini, bringing Alagaësia to life in a way that we haven’t seen before. Update: We’ve extended the contest’s deadline to the end of day on May 7th. Be sure to submit yours before then to qualify! We’ve created an exclusive black-and-white version of the coloring book’s cover which can be downloaded and printed for free! 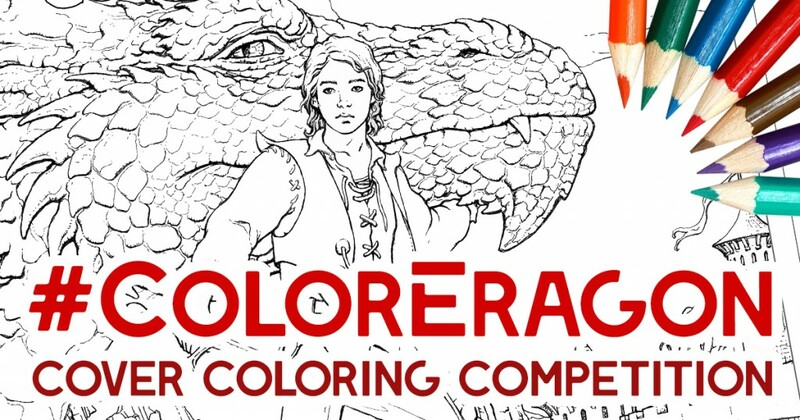 We’re inviting you to color it in and show it off on social media to win some prizes! The instructions are simple: download the black-and-white cover, print it out (it perfectly fits on standard 8.5″ x 11″ copier/printer paper), and color it in! Scan or take a photo of your completed piece and submit it to Twitter or Instagram using the hashtag #ColorEragon! Winners will be announced on May 11th, 2017. On PC, right click the link and select “Save link as”. On mobile, press the link, press and hold the photo, select “Download image”. Clicking the PDF link should automatically open the file, on which there will be an icon for you to save or print the file. and more are up for grabs! will be featured on Shur’tugal for thousands of fans to see!